One of the most critically acclaimed bands of the last three decades, 10,000 Maniacs defined college rock and created the first wave of alternative rock bands. 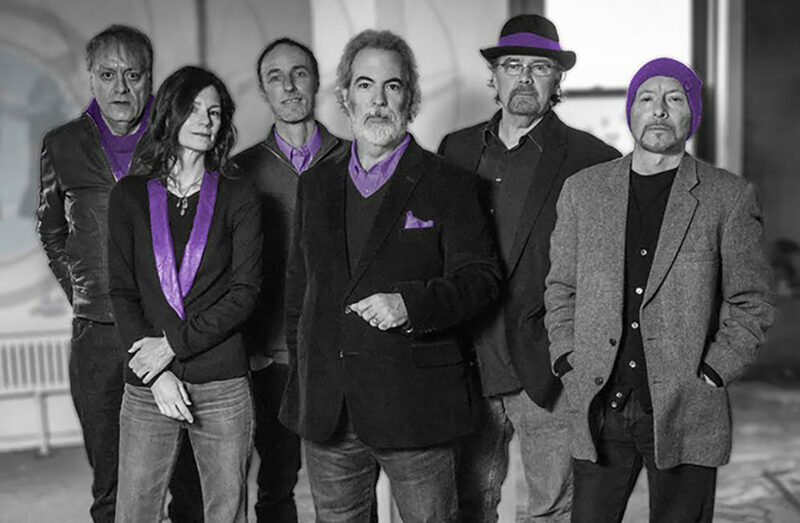 10,000 Maniacs were founded by Robert Buck, Dennis Drew, Steven Gustafson, John Lombardo and Natalie Merchant in the fall of 1981. Jerry Augustyniak joined in 1983. In 1987 the Maniacs recorded and released In My Tribe. Produced by Peter Asher (James Taylor, Linda Ronstadt) this album broke into the charts, where it stayed 77 weeks, peaking at #37 and selling over two million copies. In My Tribe featured the hit singles “Don’t Talk,” “Hey Jack Kerouac,” “Like The Weather” and “What’s The Matter Here?” It was voted one of the 100 most important releases of the decade by Rolling Stone Magazine. Blind Man’s Zoo, the 1989 follow-­‐up, hit #13 on the Billboard charts and went platinum. It featured the hit singles, “Trouble Me and “Eat For Two.” The following world tour featured several European festivals, a string of US amphitheaters and the renowned Fourth of July concert with the Grateful Dead in front of 80,000 in Buffalo NY. The new lineup released Love Among the Ruins for Geffen Records in 1997, featuring a cover of Roxy Music’s “More Than This,” which went to #24 on the Billboard charts, the highest-­‐charting single in the band’s history. The Chicago Tribune noted “If the 11 new singles rolled out are any indication of things to come, the new incarnation of 10,000 Maniacs may eclipse the old” and the Chicago Sun Times simply said, “Natalie Who?” 10,000 Maniacs continued their grinding touring schedule, finding new fans in Mexico, Portugal and Brazil. In December of 2000 founding member Robert Buck died at the age of 42. After a three-­‐year hiatus the Maniacs returned in 2003 with long time friend and former guitar tech Jeff Erickson on lead guitar. 10,000 Maniacs celebrated it’s 30th anniversary in 2011. The band released, Music From The Motion Picture, February . In April 2015 the band released a new album of traditional folk tunes from the British isles. Twice Told Tales, on Cleopatra Records. In June 2016, band released Playing Favorites, a live album recorded in Jamestown, NY. And in December 2017, they released Live at the Belly Up, recorded in Solana Beach, California.